It’s no secret that many families struggle to keep up with their mortgage payments. As the housing market shifts, and the cost of living continues to increase, many people find paying their mortgage at the end of the month a difficult task. It can be especially hard if you owe more on your home than its worth. A mortgage that costs more than the home is worth is called an underwater mortgage. Consider Refinancing. – Many lenders offer refinancing and mortgage modification plans. Refinancing can reduce your monthly payments, lower your interest rate, and even replace an adjustable rate mortgage with a fixed rate mortgage. You could also speak to the bank about options like “late payment forgiveness”. Rent Your Home. – Renting your home may be a good option. The money you collect monthly in rent could pay most or almost all your mortgage payments. Some families can rent out a room, or basement, to help offset mortgage payments. Seek Out All Available Options. – While there are many commercial programs to help homeowners, there are also several government options. 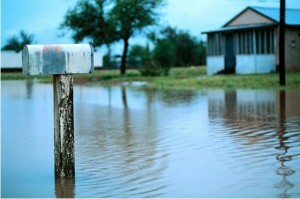 The federal government, for example, helps some underwater homeowners. Established in 2009 by the Financial Stability Act, the federal Home Affordable Modification Program is part of the “Making Homes Affordable Program”. There are many tactics, tips, and strategies available to help an underwater homeowner. The first step to mortgage stability is learning how many opportunities are within reach to help keep you and your family in your home.